Well, this is not encouraging. The photo you're seeing above is our leader Joshua's iPhone 4 review unit, snapped by Ryan Block just moments ago. Ryan pointed out that there are some nasty scratches on the back of the phone. While we don't have any better photos of it at the moment, Josh told us that they're hard to see unless in bright light, but they look pretty notable to us for a five day-old unit made of Gorilla Glass. We'll get some better photos for you as soon as humanly possible. 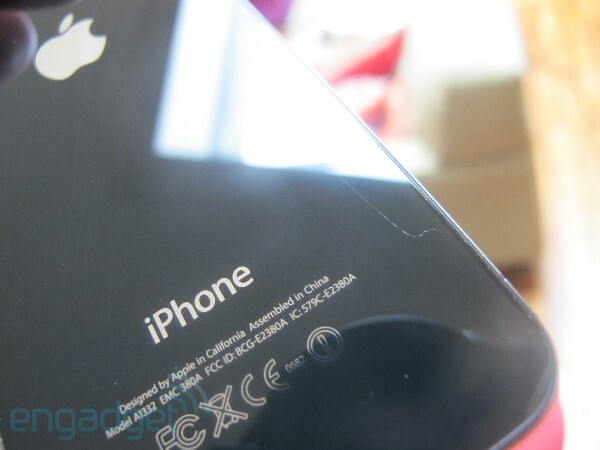 Update: We should note that while iFixit has said that the new iPhone's front panel is made of Gorilla Glass (and they tend to be right about these things), the material on the back of the phone has not been positively identified, though it is also a hardened glass. 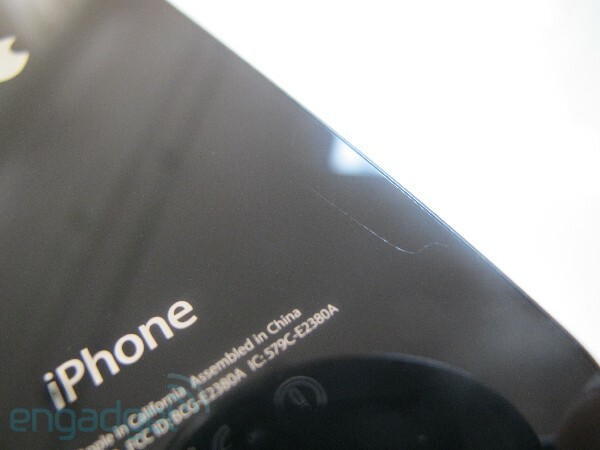 Update 2: We've added three higher quality photos after the break, and seen the scratch with our own eyes. It's what we would call "incredibly minor," not visible at all dead on, but in bright light at an angle... well see for yourself if the photos.